Understand what is going on in your agency. Let everyone in your agency easily collect, organize and share information. Gain complete visibility on tasks, auditions and events. 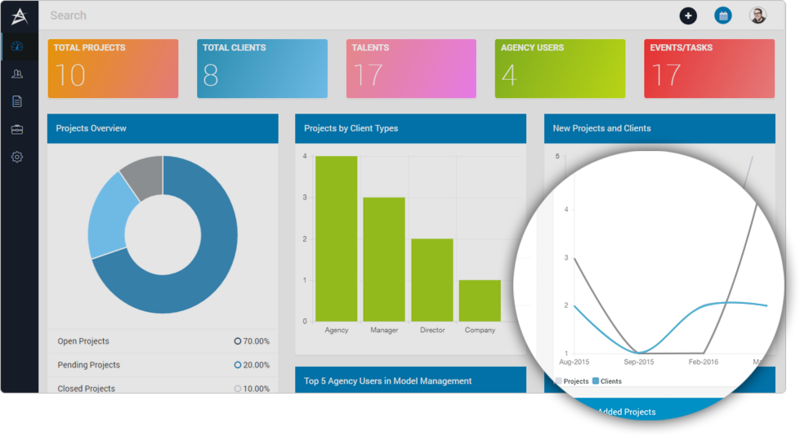 Gain instant insights and deep metrics by agency, client, project and creative talent. Take decisions based on these data points. 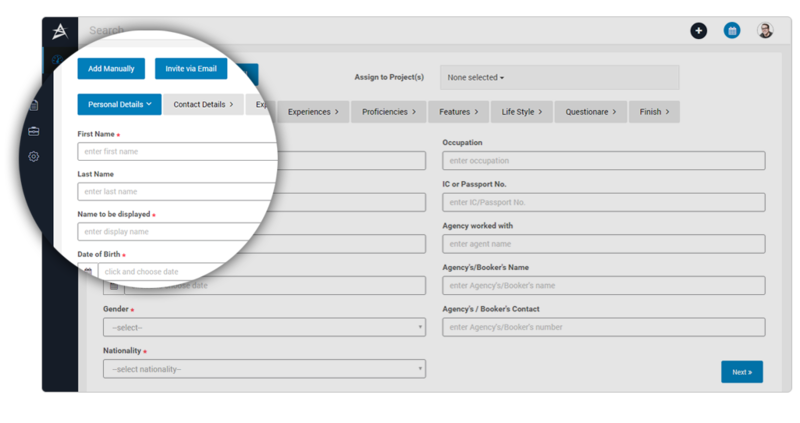 Get back your precious time by letting your talent add an update to their information, by using our shared event booking system for project scheduling and by using the auto generated project invoices and talent rosters. Take the first step towards a better agency. We are saving so much time and money after our agency started using Staragent. And as an Agency owner, I love the automation & analytics features. It’s like I got an extra pair of hands to do the job! Priscilla Hoo. Founder, Hello Group, Singapore. I have never seen anything like this. I am sure that this is going to be a game changer! Kshitij Kokas. Excel Entertainment, India. We have spent a great deal of time talking to a lot of business owners in the last few months who run local, regional and global talent agencies. Find out the trends we noticed! Deciding on a company name and logo is always a daunting task for its founders. We wanted our users to feel proud and inspired when using the company name. And after hundreds of options we settled upon ‘Staragent’.